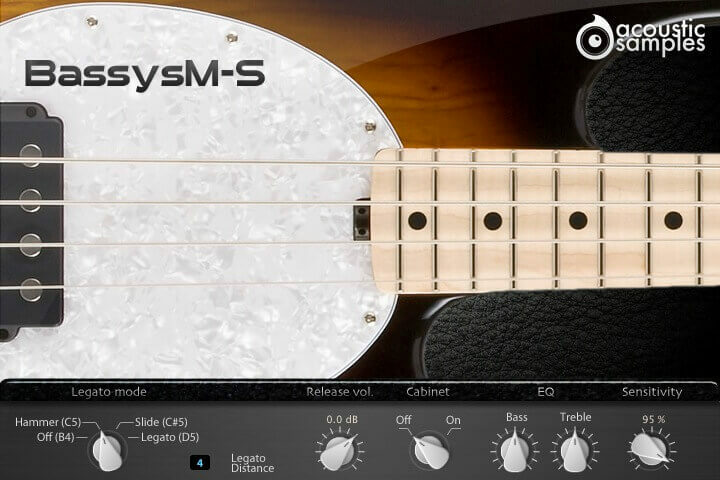 The BassysM-S bass is a four strings Musicman Stingray bass with roundwound strings. The is the slapped version of the BassysM line. Bassysm-S comes with its own sample player, the UVI Workstation 3 (requires v3.0.0 or later). 1.52Gb uncompressed, 703Mb compressed in lossless flac format, around 2152 samples. 12 Velocity layers for the sustain pop. 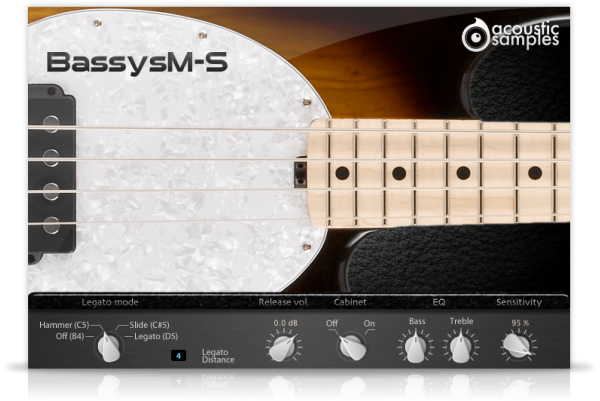 12 Velocity layers for the sustain slap. 2 round robins for pop and slaps. 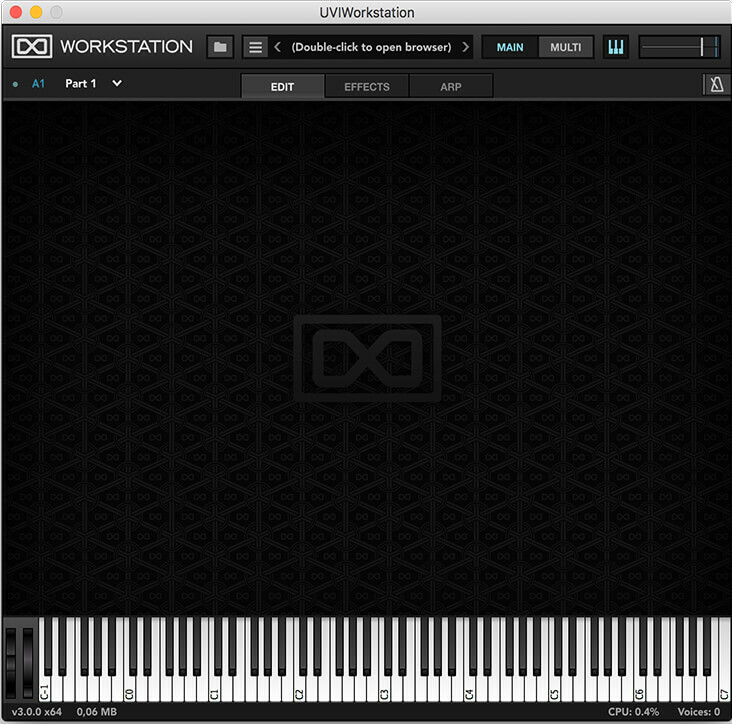 We provide the MIDI files of the demo songs.